Too many people don’t have their tile and grout cleaned as often as they probably should. They probably look at their carpets and it is obvious that the carpet needs cleaning but they look at their tile and don’t realize how dirty it has become. Your grout may have once been white or brown but is now black. If your tile has texture the creases and lines within that texture has collected dirt and grime. 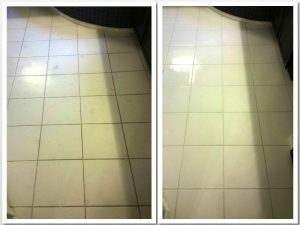 If you want clean tile and your grout returned to it’s original color then it’s time for a tile and grout cleaning. Beyer Carpet Cleaning offers the best price in San Antonio for tile and grout cleaning. 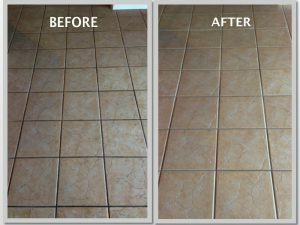 Their complete tile and grout restoration will have your tile and grout looking like new! 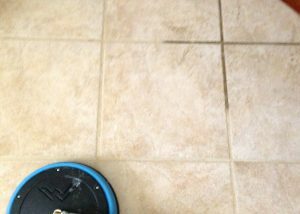 There are several steps they take to get your tile looking good. When the technician arrives he will measure your tile to get the exact measurements. If you have an island they will remove the square footage for the island from your total. Beyer Carpet Cleaning always wants to be fair and you shouldn’t have to pay for something that isn’t going to be cleaned. Then the technician will spray an alkaline cleaner over the entire area and then he will processed to scrub the grout line and tile t make sure the cleaner gets in there and removes everything that could be living within it. Once he is done scrubbing the technician will then steam clean to remove all the dirt and alkaline from your tile. Once he is done steam cleaning you will immediately see the change. Your black grout is now white and your tile is clean and sanitized. Your floors will be so clean that you could eat right off of them! Beyer Carpet Cleaning only wants to do their best for their customers so they will always have the lower prices than the bigger carpet cleaning corporations. Beyer will always perform to the highest cleaning standards so their customers are happy and satisfied. Although carpet cleaning is in their name Beyer Carpet Cleaning are expert tile and grout cleaners and upholstery cleaners. Whatever it is that you need cleaned Beyer Carpet Cleaning has you covered. They will always show up when scheduled and will not disappoint. Beyer Carpet Cleaning is a 5 star rated company because of their hard work and dedication to customer satisfaction. They will not promise something they cannot deliver on. So if you want a professional that will not let you down and that will not charge you an arm and a leg call Beyer Carpet Cleaning!